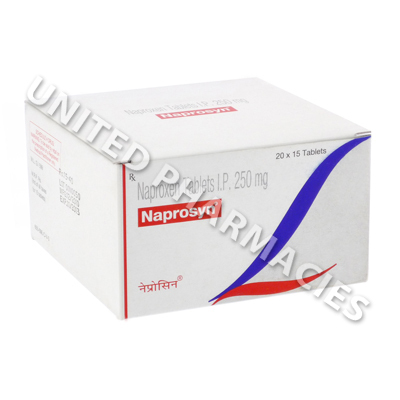 Naprosyn (Naproxen) works by providing relief from pain caused by a wide range of conditions, including headaches, dental pain, muscle aches, tendonitis, menstrual pain, bursitis and other related conditions. It is also considered to be effective and useful in reducing swelling and treating pain caused by gout, rheumatoid arthritis, osteoarthritis and other conditions similar to those just mentioned. Naprosyn (Naproxen) works by providing relief from pain caused by a wide range of conditions, including headaches, dental pain, muscle aches, tendonitis, menstrual pain, bursitis and other related conditions. It is also considered to be effective and useful in reducing swelling and treating pain caused by gout, rheumatoid arthritis, osteoarthritis and other conditions similar to those just mentioned. This drug is an NSAID (non-steroidal anti-inflammatory drug), and it works by inhibiting the production of the substances (known as prostaglandins) which cause pain and other symptoms. If your doctor has prescribed Naprosyn (Naproxen) tablets for you, he or she will also tell you the correct dosage to take. Adult patients are often told to take it 2 to 3 times per day, with a glass of water. 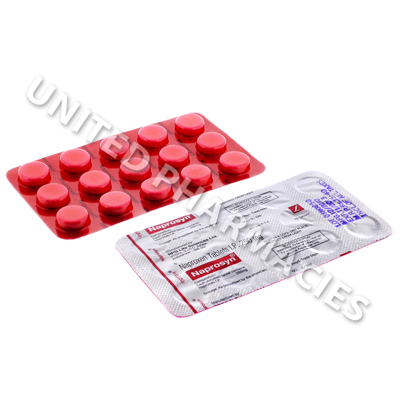 It is recommended to avoid lying down for 10 minutes after taking this medication, so as to prevent stomach upset. Some conditions may require 2 weeks of treatment before the full effects and benefits are noticeable. For those patients who have been directed to take it as required, and not as part of a regular schedule, it is worth noting that it is most effective if taken at the first occurrence of pain. While taking this medication, be aware of the risk of side effects, and tell your doctor if any occur. This is especially important if any side effects persist. Although the above mentioned side effects are not usually considered to be severe, there is a slight possibility of more harmful side effects occurring. Consult your doctor immediately if you notice a sudden, unexplained increase in weight, fever, seizures, vision changes, discolouration of the skin or any other side effects. If you are allergic to NSAIDs (non-steroidal anti-inflammatory drugs), you must tell your doctor before you take this drug, as it may not be suitable for you. There is a possibility that taking this medication can increase the skin's sensitivity to sunlight. For this reason, patients are advised to avoid unnecessary sun exposure as well as tanning booths. Always use Naprosyn (Naproxen) as you have been prescribed by your doctor. Never self-medicate or change your dosage without first consulting your doctor. The correct dosage can vary depending on your health, medical history, and the severity of the condition being treated.